Have you ever wished you could use a personalized cartoon image as your profile picture on social media? It’s easier than you think. You just need to understand everything there is to know about Bitmoji. 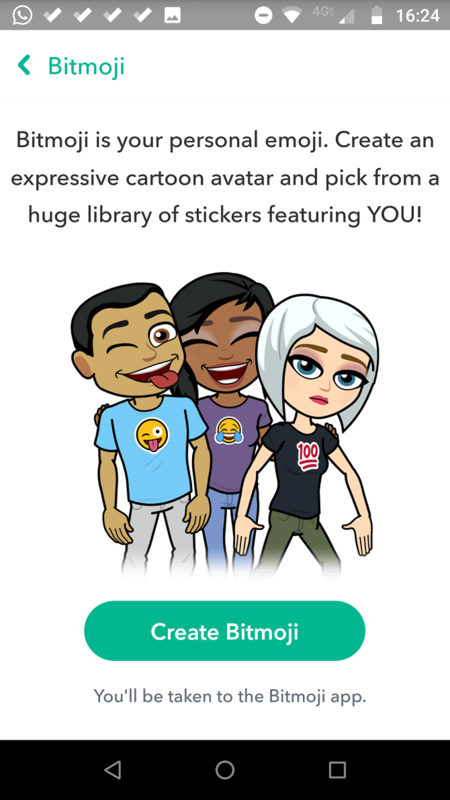 And this article explains what Bitmoji are and how you can create your own. Bitmoji is owned by Snap Inc., the same company that’s behind Snapchat. Snap bought Bitmoji for more than $100 million in 2016. 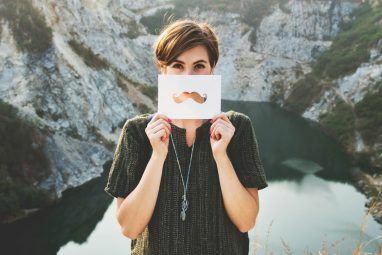 At its core, Bitmoji lets you create a cartoon avatar of yourself Make Cool Avatars for Profile Pictures With the 8 Easiest Sites Make Cool Avatars for Profile Pictures With the 8 Easiest Sites To have an online presence, you are going to need a good avatar. Here are some of the easiest ways to create a cool avatar. Read More . You can then use your avatar as a consistent profile picture across all your favorite apps. Bitmoji is available in the Chrome Web Store, and there’s a Bitmoji app available for Android and iOS. You can also access your Bitmoji account via a web app. Many other apps and services have special integrations with Bitmoji creations. These include Snapchat, Facebook, Facebook Messenger, Gmail, Gboard, Slack, and iMessage. But even if your most-used apps aren’t directly integrated, your avatar is never more than a copy and paste away. To begin, you need to make a free Bitmoji account. You can either create an entirely fresh account or use your Snapchat credentials. You can only make a new Bitmoji account through the smartphone apps or the Chrome extension. It is not possible to create a new account on the web. You’ll need to enter the various personal details, choose a password, and select your gender. Now you’re ready to customize your avatar. What Customization Features Are Available? You can either upload a selfie or design your avatar manually. You can customize your skin tone, facial structure, hair color, outfit, headwear, body type, and more. There are also three different broad themes to choose from—Deluxe, Bitstrips, and Classic. Some outfits will only appear for a limited time around sporting events, annual holidays, and other events. Sadly, you won’t be able to rock that Santa outfit year-round. Once you’ve finished with the design process, you can also start using the vast repository of stickers. There’s one for just about every occasion, emotion, and action imaginable. What Is the Bitmoji Keyboard? 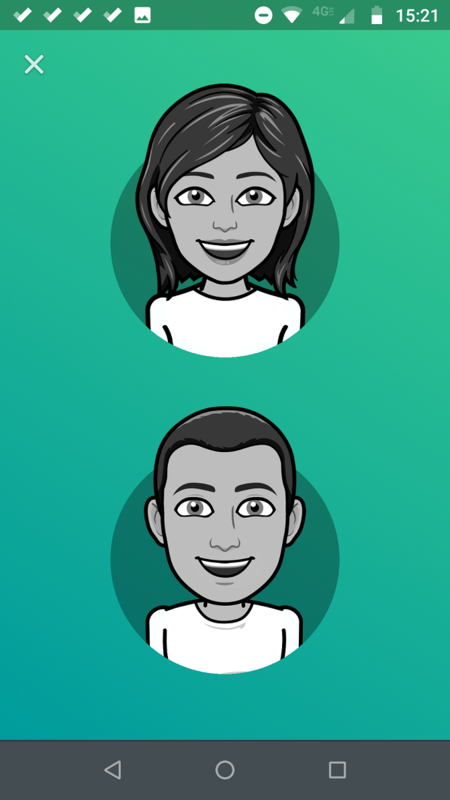 The Bitmoji keyboard is what allows you to use your avatar in other apps on your device. Depending on which platform you’re using, the instructions for setting up and using the feature will differ. For example, on Android, the process is as simple as opening the keyboard, tapping on the Stickers icon, choosing the Bitmoji tab, and selecting the avatar you want to use. On iOS, you’ll need to go to Settings > General > Keyboard > Keyboards > Add New Keyboard. Tap on Bitmoji and slide the toggle next to Allow Full Access into the On position. To access the keyboard while writing a message, tap on the globe icon and select the desired avatar. One of the places where you can have the most fun with your newly created avatar is in Snapchat. 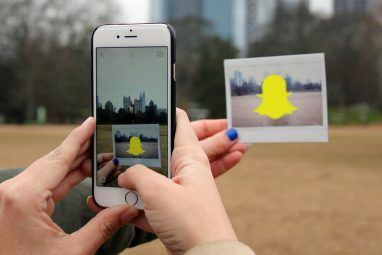 Snapchat has lots of emojis Snapchat Emojis: We Explain Their Meanings to You Snapchat Emojis: We Explain Their Meanings to You Are you wondering what the Snapchat emojis mean? Let us help you understand Snapchat emojis and their meanings. Read More , filters, and trophies—they are the perfect complement to the vibe that your Bitmoji gives off. Given the fact that the two apps are owned by the same company, you’d expect the integration to be easy to set up. It doesn’t disappoint. To get started, open your Snapchat app and tap on the Profile link in the upper left-hand corner of the camera screen. Next, tap on the Gear icon to enter Snapchat’s Settings menu. 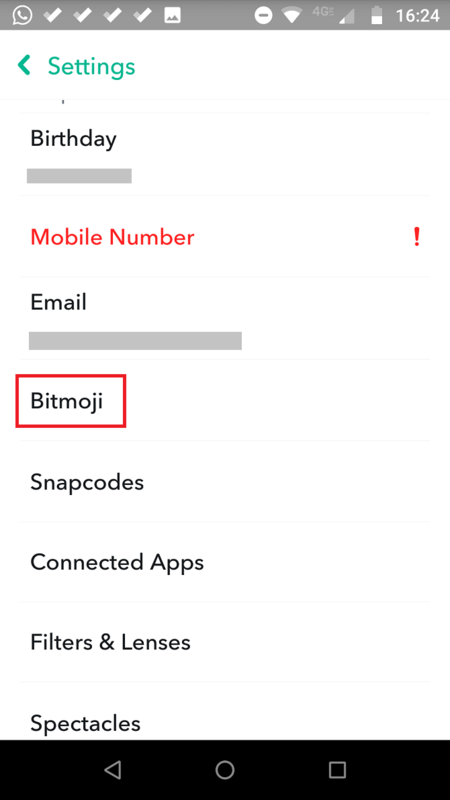 From the Settings menu, go to Bitmoji > Link Bitmoji. To finish the connection process, agree to the confirmation screen when prompted. Does Bitmoji Compromise Your Privacy? It’s fair to say that Bitmoji doesn’t win any prizes when it comes to your privacy. 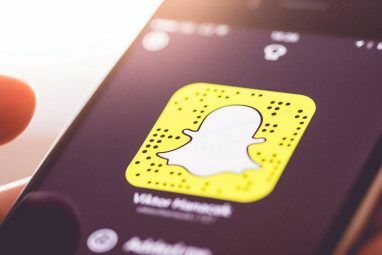 Obviously, the fact Snap owns both Snapchat and Bitmoji isn’t ideal for people who are concerned about a single company amassing too much data about them. A few other privacy concerns include a request for full keyboard access and permissions to access your call history and contacts. The developer claims keyboard access is needed to “download your custom Bitmoji images from our server” and adds that the company is not “reading, transmitting or storing anything you type” at any time. 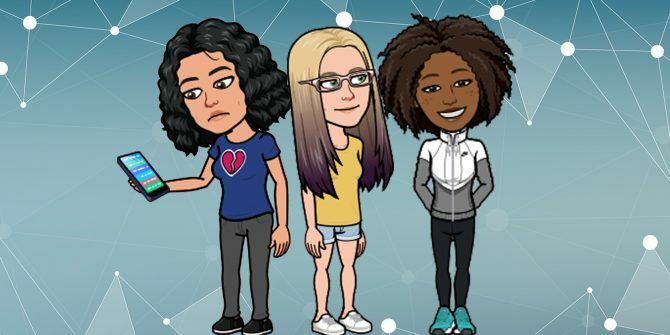 We explored all these issues in more detail when we discussed whether Bitmoji is a threat to your privacy Is Bitmoji a Threat to Your Privacy? 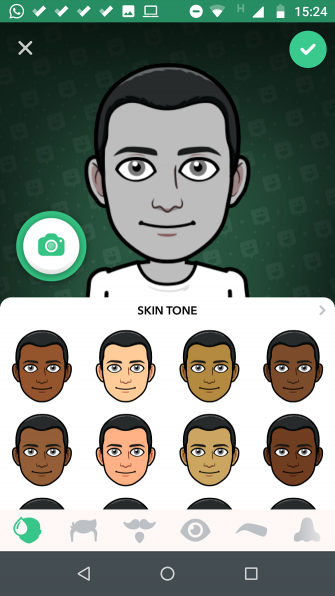 Is Bitmoji a Threat to Your Privacy? Bitmoji was the most popular iOS app in 2017, But what information does Bitmoji collect? Who does the company share that information with? And why does Bitmoji need full keyboard access? Read More . (Note: Android and iOS users can both disable full keyboard access and instead copy and paste Bitmoji avatars directly from the Bitmoji app as needed). We’ll leave you with two more Bitmoji tips that you’ll probably find useful. Firstly, if you suddenly can’t access your Bitmoji avatars from your device’s main keyboard, the issue is almost always linked to full keyboard access. Simply toggling the feature on and off should remedy the problem. To toggle the permission on iOS, head back to Settings > General > Keyboard > Keyboards and select Bitmoji. On Android, head to System > Languages and input > Keyboard and input methods > Virtual keyboard > Manage keyboards. Secondly, there’s a sneaky workaround to share your Bitmoji creations with other apps even if Bitmoji does not appear in the other app’s Share menu. Just open the Bitmoji app, tap on an icon, and save it to your photos. Then, when you want to share an avatar, use the newly saved picture instead. With the big social media networks boasting hundreds of millions of users apiece, it’s increasingly hard to stand out from the crowd. Using Bitmoji is one way you can give your online presence a dash of extra pizazz. There are alternatives though. Google can now turn your selfies into stickers, and there are a host of other apps designed to change messaging for the better Crazy and Creative New Apps That Change Messaging for the Better Crazy and Creative New Apps That Change Messaging for the Better It's easy for social media conversations to fall into a rut. Thankfully, there are popular new apps being widely adopted that guarantee sending and receiving messages will be anything but dull. Read More . Explore more about: Bitmoji, Snapchat.